i'm asking how they made CMYK painting by hand. I think they are cheating. 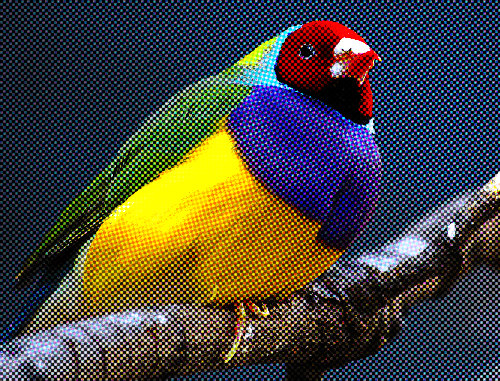 Is possibile to use IM to 'convert' an image to CMYK Halftone Effect but where dots are empty ? then pass by hand every dots respecting CMYK sequence. But i'm not able to adapt old Linux syntax to last windows IM build. can't solve all issue (and my limits). 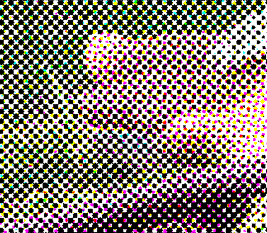 In 2010 you reply https://www.imagemagick.org/discourse-s ... =1&t=17389 to user that ask how create B/W Halftone Dither. In above image the dots are exactly what i want (missing negative effect). giving the angles of the offset printing halftone and at least rejoin. As idea, can works ? Hello again sorry for hammering. You can apply also angle to emulate four color and then join them. 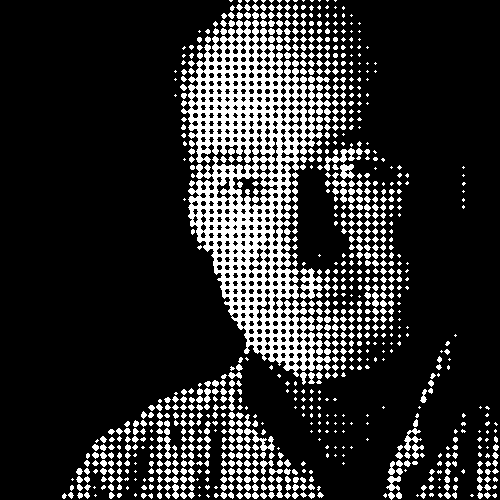 Program take an image and create BIG b/w images composed by dots. - change black dots color into Ciano, Magenta, Yellow. 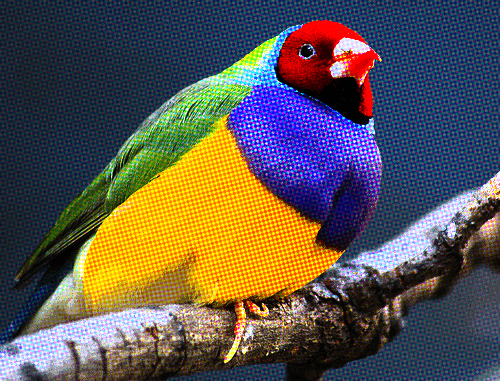 See the examples at http://www.imagemagick.org/Usage/quanti ... red-dither , also my own Lithographic effects. I thought my instructions above were pretty simple to follow. Nevertheless, here is the Unix to Windows syntax conversion. Here is perhaps a better one, by making the K channel all black. Different solutions and I need some tuning to go on print on 'real thing', but it's incredible.